And so it happened that my little boy discovered Kinder Joy, too, one Friday afternoon while we were looking for things to buy inside Robinsons Supermarket. I was actually the one showed it to him. 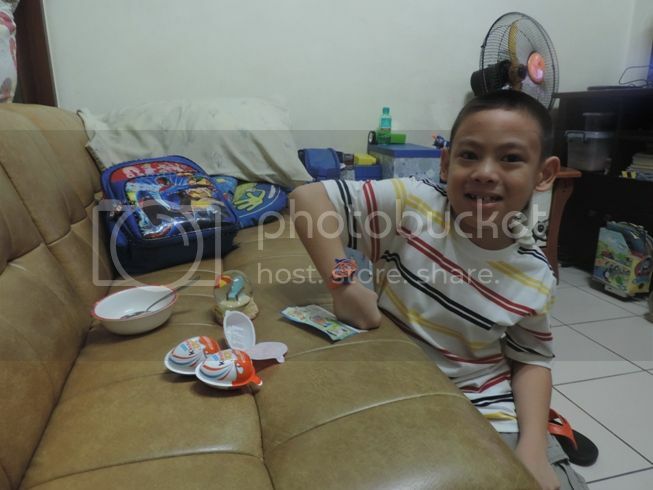 He grabbed several Kinder Joy eggs, but I persuaded him to get only three. I don’t remember the exact price, but I think I paid less than Php50.00 for each Kinder Joy egg. 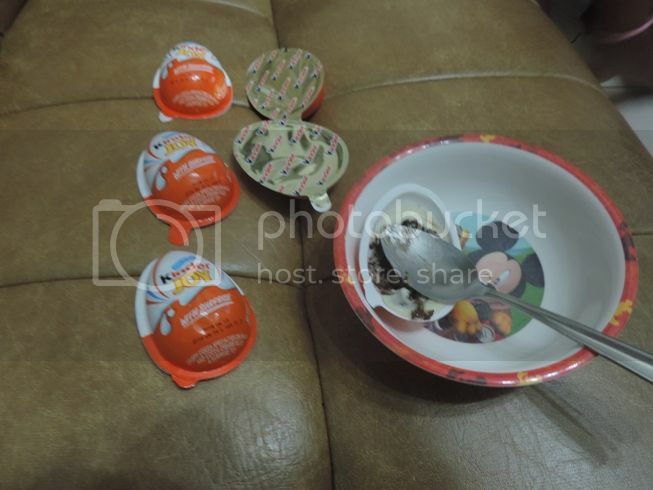 We didn’t know that the small white plastic attached to one part of the the Kinder Joy egg was actually a spoon that you can use to scoop the chocolate out of the egg. That’s the reason why there’s a teaspoon in the picture above. Lol! What’s inside a Kinder Joy egg? Half of the egg has creamy milk chocolate with crispy rocher balls, while the other half contains a plastic toy. Justin got that watch-like gadget he’s wearing, two small tops and a small car. 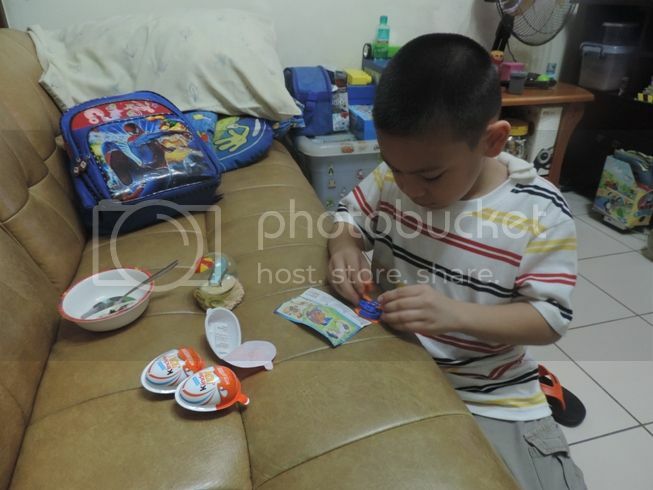 He said he’d like to have more more Kinder Joy eggs. This entry was posted in Kinder Joy. Bookmark the permalink. My son is also into this. He likes the surprises. I just find it a little pricey :).